Fairey Fulmar. Katherine, British North Australia February 1941. Fairey Fulmar Mk 1. Katherine, British North Australia, February 1941. At the outbreak of WW2 the RAF presence in British North Australia consisted mainly of Westland Wapitis and De Havilland Dingos with a handful of Boulton Paul Sidestrands, a squadron of Westland Wowhawks and another of Hawker Harrier torpedo bombers for the defence of Darwin. Lined up against them on the other side of the Western border were the aircraft gifted to the Aryan Südreich regime following the completion of large-scale “desert trials” carried out by the Wehrmacht in 1935. By 1940 the He-51s and Cr-32s of the Aryan Südreich Luftwaffe (ASL) had achieved almost complete air superiority and their Langstrecken-Wüste Gruppe (LsWG) was striking closer and closer to Alice Springs and Catherine. In June 1940 General “Whacko” Wooster-Melchett, supreme commander, British North Australia wrote to the War Office in London demanding three squadrons of “the new rocket armed Boulton Pauls I hear are causing so much terror amongst Jerry on raids across the ditch. These Defiants will be just the thing to take back the skies which rightfully belong to The Empire”. What he got, in January 1941 were the Fairey Fulmars of 806 Naval Air Squadron detached from HMS Illustrious. Hastily painted in the Middle East topsides camouflage colours of Dark Earth and Middle Stone (while retaining the Sky undersides of the FAA temperate Sea scheme) tropical filters were cobbled together from plumbing fittings and kapok while racks for 12 x 60lb rockets were fitted under the wings between the undercarriage and the guns. The effect was immediate. While the Heinkels and Fiats of the ASL were more maneuverable than the Fulmars the FAA pilots made their extra speed and firepower tell and usually got the better of the under-gunned biplanes. The rockets also made short work of the LsWGs vehicles although locating them proved difficult as they proved adept at hiding out during the day and dodging patrols. The Fulmars were handed over to the RAF and the FAA crews posted back to the Illustrious in November 1941 (806 ironically re-equipping with Sea Defiants). Four were still flying in August 1945. Losses had been heavy when the ASL had moved their Macchis North and while still usefull in the ground attack role they had to be escorted. One Desert Fulmar remains today. N1985 was recovered from the fallout zone and decontaminated once Darwin cooled enough to allow access. It can be seen on a post outside the Alice Springs Returned Servicemen's Legion painted in the late BNA desert scheme of Red Oxide topsides with Sky Blue undersides. N1985 is portrayed here in the Earth/Stone paint job it wore in February 1941 while hunting Heinkels and chasing the LsWG across the Tanami Desert. 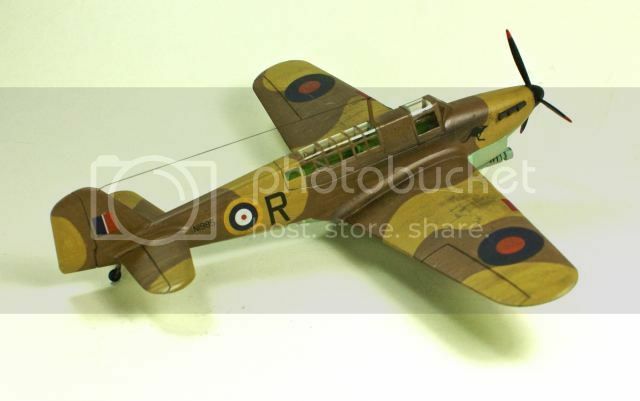 The kit is the Airfix 1/72 Fulmar. Paint is Gunze Sangyo Mr Colour (top) and Vallejo Model Colour (bottom) brush painted. Decals are the 806 Sqn option from the kit plus Kangaroos from a 1/35 Huey set. Rockets are from the Trumpeter Wyvern. Edited to reflect revisions in "A Brief History of he People's Democratic Republic of Victoria". Re: Fairey Fulmar. Katherine, British North Australia February 1941. Great back story, good build. Nice - the colors suit it well! Love both the backstory and the plane; desert camo suits her rather well. She needs a Beaufighter to back her up..... . Superb Fry/Laurie connection too "Mehhhh!!" I've always liked the Fulmar and it tends to be a tad underated I think, but deployed in your scenario it's brilliant. Yes. Great story and build. Love the colours. Love the filter. Love the stance of this bird in the first pic too. 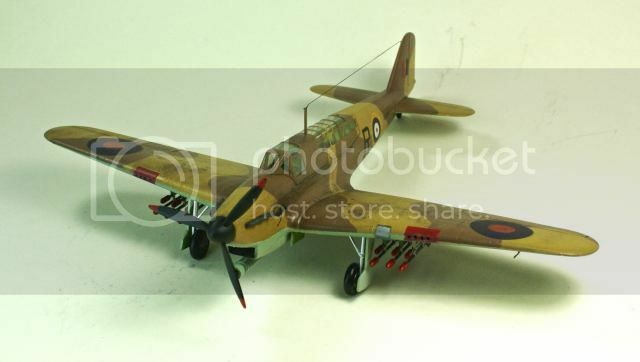 Just started an He 51 to be painted in West Australian Fascist colours. Currently scheming up a variation of Italian smoke ring camo for the upper surfaces. Nice camo, I'm not a Fulmar fan but this looks good. Like the Roo and the rockets . Same with me, not my favourite aircraft but this one looks very good indeed! Great job! One of the kits my dad built me when I was a child which set me on the road to where I am now was an Airfix Battle so this is sort of following that start. Nice Fulmar, mon brave. Interesting timeline - potential scenario stretch alert!! A number of Fulmars defended Ceylon (as was) in 1942. 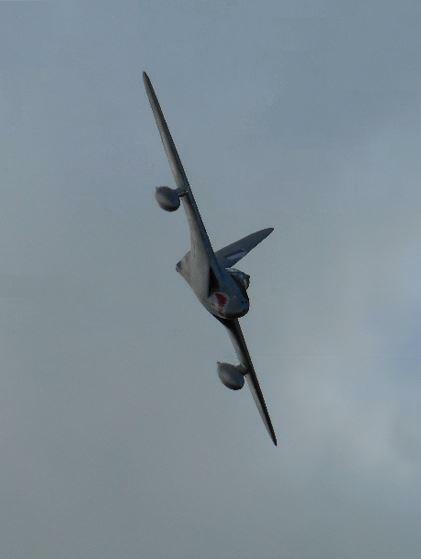 Whid scenario - could rocket-armed Fulmars have been used against the Japanese at the time of the Easter raids? Probably the campest post on the Forum, Chris! Is it too late to nominate it for a Whiffie?